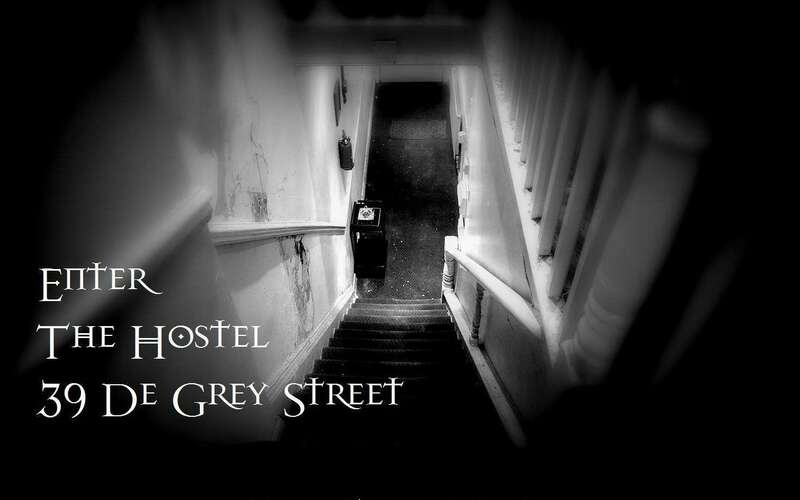 Dare you enter the doors of the intrepid 39 De Grey Street Hull to spend a night investigating this creepy and very active building - a place which is fast becoming known as Hulls most haunted property! If the answer is yes - then join Dusk Till Dawn Events as we take you on a terrifying night of ghost hunting inside the darkest and most haunted area's of the house. This 7 bed roomed house now dubbed the Hostel is said to be home to many strong and evil dark energies. This property has caught our attention due to the mass media coverage it has been receiving as of late along with the many reports of poltergeist type activity inside its very walls. Dusk Till Dawn Events are thrilled at the prospect of taking you with us - as we all investigate this very intriguing yet daunting building together on an overnight ghost hunt. Inside the house, doors have been reported to have opened and closed by themselves, candles are said to have been mysteriously blown out, items of furniture are said to have been moved and dragged along the floor with force - along with the most recent terrifying report of a man who was said to have been physically dragged out a chair by unseen hands whilst in the property! Please drive to postcode HU5 2QE (Maple Street) and drive all the way to the end where there is a garage with some graffiti on the front. This is where you should park your car and to the right you will see an alley way. Walk through there, which is a short distance and the house is immediately on the left. The host will be waiting for you in this area. These directions are for when you turn off Queens Road (postcode HU5 2RH. Local Street and pub car parking is available within just a short walk from the location. Parking important information Please drive to postcode HU5 2QE (Maple Street) and drive all the way to the end where there is a garage with some graffiti on the front.